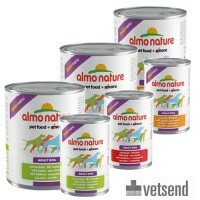 Almo Nature, established in 2000, was the first company in the world to offer pure and healthy dog food without any additives. 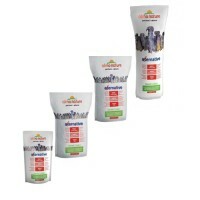 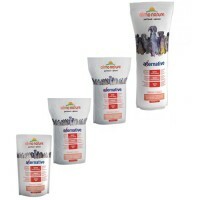 Almo Nature consists of pure and natural products and are 100% free from animal testing. 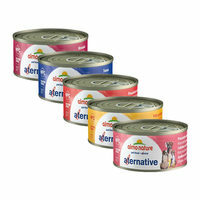 None of their meals contain any preservatives, colourings or other chemical additives to make food look better. 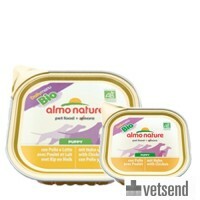 Almo Nature are guided by the following core values: their love for animals, quality and transparency in products. 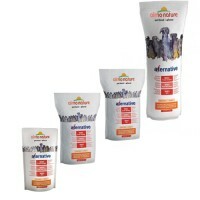 Furthermore, Almo Nature works together with other companies to research 100% recyclable and flexible packaging, to limit damage to the environment. 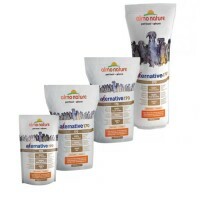 Almo Nature provides an extensive range of healthy, natural meals with many different flavours for your dog including pure meat or fish within the Daily Menu, Daily Menu Bio or Classic range. 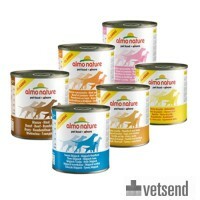 Combining this meal with dry food stimulates the sense of smell in your dog and creates a tastier meal with all of the necessary nutritious substances for a balanced diet.